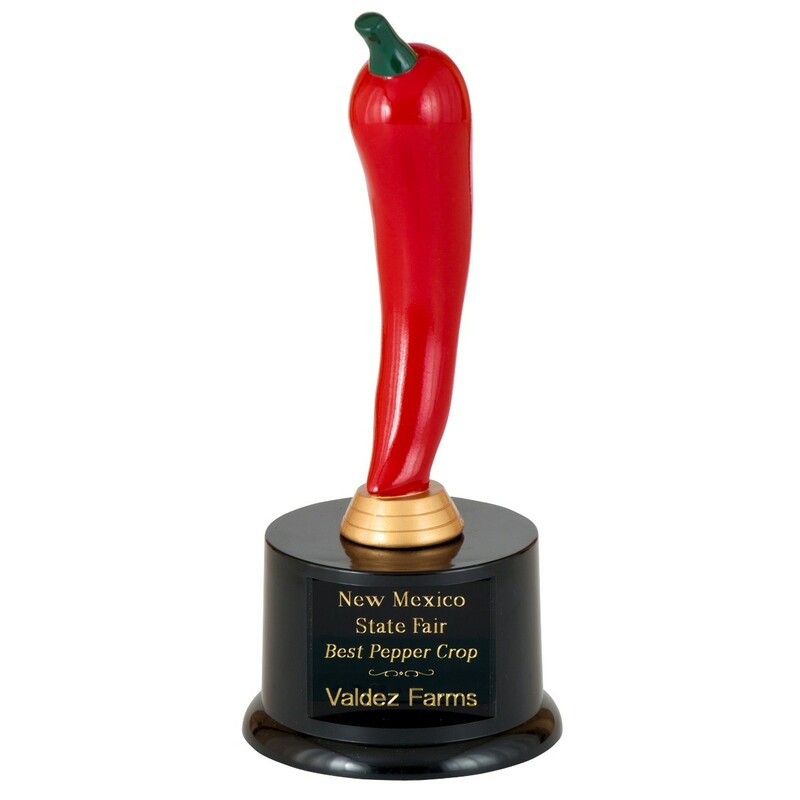 Award the hottest chili at your cook-off our Red Chili Pepper Trophy! Standing 8 1/2 inches tall, this cute trophy features a bright red resin chili pepper figure attached to a round black base. Your custom engraving, which is included in the price, is etched in gold on a black brass plate. This hot little pepper will be the hit of your party!